NIA CHARLESTOWN NEVIS (October 14, 2016) — The following is an address by Hon. 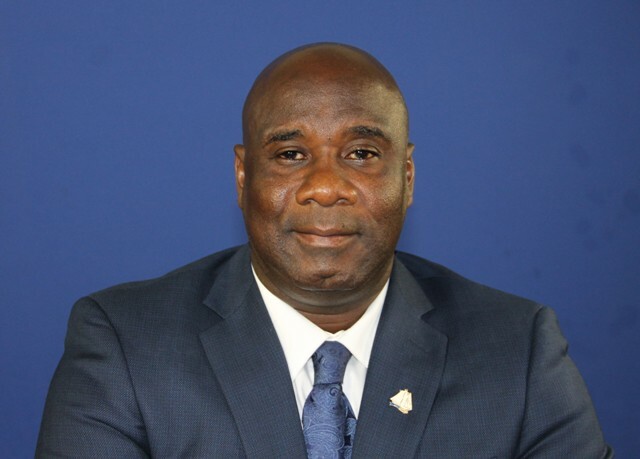 Alexis Jeffers, Minister of Agriculture in the Nevis Island Administration (NIA) on October 14, 2016, on the occasion of the Food and Agriculture Organisation’s (FAO) World Food Day, 2016, observed on October 16. I am honoured to address you on the occasion of World Food Day 2016. World Food Day is an observance sanctioned by the Food and Agriculture Organisation (FAO) and is celebrated on the 16th October each year. It provides an opportunity for us, Nevisians and residents to join millions around the world in the fight against hunger. Latest FAO estimates show that approximately 870 million people worldwide live in a state of daily hunger. Additionally, millions of people including 6 million children under the age of five die each year as a result of hunger. As such, World Food Day is observed to give us an opportunity to pause and join with people the world over, in strengthening the struggle for freedom from hunger. It also offers all countries an occasion to highlight the crucial importance of food and agriculture to its people. World Food Day 2016, is being celebrated under the theme “Climate is Changing, Food and Agriculture Must too.” This year’s theme, we believe, is timely and it comes on the heels of our own theme we used for the Department of Agriculture Open Day 2016. Climate Change is a phenomenon that has been attracting worldwide attention especially in Agriculture and indeed other areas. However, the field of Agriculture has apparently been dealt some of the most devastating and lasting blows so far. This year’s theme, therefore, presents an opportunity for us to re-evaluate the practices and procedures being utilised in Agriculture and to some extent, adopt meaningful changes to minimise the adverse effects of climate change. One of the biggest issues related to climate change is food security. The world’s poorest, many of whom are farmers and fishers folk, are being hit hardest by higher temperatures and an increasing frequency in weather-related disasters. In recent times, we here on Nevis have been experiencing unusually high temperatures, extended drought conditions and erratic rainfall patterns, which is evidence that we are not immune to the effects of climate change. Additionally, more severe storms have become common place including the most recent Hurricane Matthew that caused millions of dollars in losses and claimed hundreds of lives. At the same time, the global population is growing steadily and is expected to reach 9.6 billion by 2050. To meet such a heavy demand, agriculture and food systems will need to adapt to the adverse effects of climate change and become more resilient, productive and sustainable. This is the only way that we can ensure the wellbeing of ecosystems, rural populations and reduce emissions. It is also important to note that the global goal for achieving Zero Hunger is 2030 – an ambitious goal and one that cannot be reached without addressing climate change. As we grapple with climate change and its effects on agriculture, we must also be cognizant of tremendous amount of food that is lost or wasted. Statistical Data suggest that one third of the food produced worldwide, is either lost or wasted each year. That amounts to an astounding 1.3 billion tons annually. Growing foods in a sustainable way, means adopting practices that produces more with less in the same size of land and using other natural resources wisely and since there is the added burden of food losses, it also means that a number of initiatives including better harvesting, suitable storage, reliable packing, adequate transport, proper infrastructure, meaningful market mechanisms, as well as strong institutional and legal frameworks have to be implemented. As we join in this universal observance of World Food Day, the question would be, what can we do to change food and agriculture as climate continues to change? The Ministry and Department of Agriculture, will and must continue to promote practices that are climate smart and which will bring increased production and productivity despite the effects of climate change. My Ministry, will continue to vigorously promote greenhouse technology, mulching, drip irrigation, compost production and use, integrated pest management, improved livestock management, sustainable fishing practices and many more as we tackle food security issues. Our farmers and fisher folk, must rise to the challenge and work closely with our technicians as we all seek to produce more in a sustainable way utilizing our limited resources. You, the members of the general public, can do your part to reduce food losses by being conscientious or ethical consumers and changing simple day-to-day decisions. As we try to change food and agriculture in tandem with the changing climate, it is therefore important that we approach it with a united front. Our collective task therefore, is to turn commitments into action on the ground. I take this opportunity, on behalf of my Ministry, to continue to bring awareness to the general public on the importance of agriculture. As we celebrate World Food Day 2016, let us recommit our efforts to support local production, as we do our part in fighting world hunger. Let us also continue to eat more of what we grow and grow more of what we eat. Most of all, let us intensify our efforts to change food and agriculture to keep pace with our changing climate. Happy World Food Day 2016 and may God continue to bless us all.